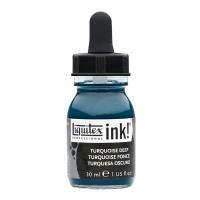 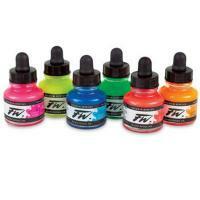 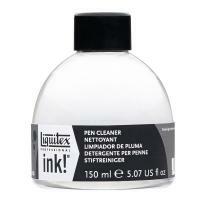 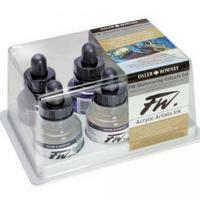 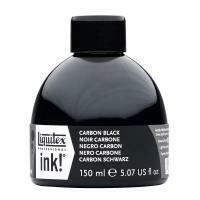 Acrylic ink is extremely fluid acrylic paint made from super-fine pigments suspended in an acrylic emlusion. 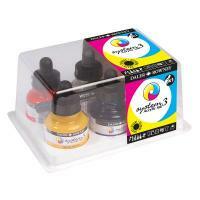 Acrylic ink has the same properties as acrylic paint, they are permanent, water resistant and dry very quickly. 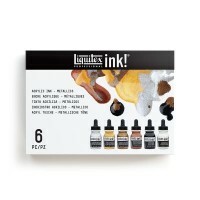 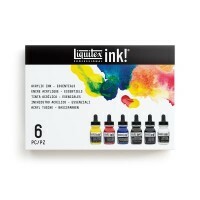 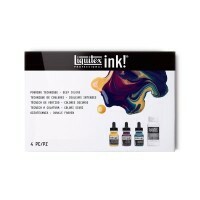 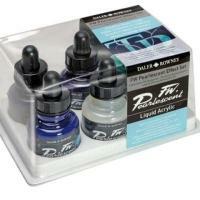 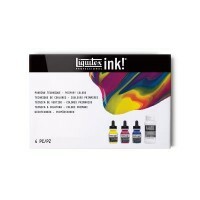 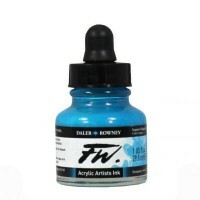 Acrylic inks are ideal for a variety of techniques from watercolour effects, to airbrushing and use in technical and dip pens. 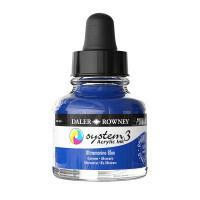 They are also fully intermixable with other acrylic paints and mediums.